I-Spy books can be confidently said to be part of the cultural history of this planet, on par with the works of Leonardo Da Vinci and the holy books of Christianity. Well, actually, no, that was a lie, just a pathetic attempt to make this subject sound remotely interesting. Childhood was a funny time. So what if there are millions of cartoons on TV, thousands of toys to play with? Sometimes you just wanted to sit outside in the cold clutching a pen and a small book feebly, waiting hopelessly to see the "Black Spotted Filliby bird" needed to get the 1000 points needed for a special badge. I-Spy books were perfect for this, and bought by those for whom the words 'social interaction' meant as much as 'Nuclear Particle Dynamics' ...though thinking about it, those sort of people WOULD probably know what Nuclear Particle Dynamics were. Anyhow, despite all this, I seemed to have had a ton of these books. Not because I'm sad... but to ironically mock those who were sad. Yeah! Just as proof of how old these things are, here's one from... well, I'm not quite sure, but it uses d instead of p for monetary units, so I'd assume it was the 1600's. This one is special because it is in colour! Cor! Such use of this new 'colour' technology would be useful for spying such things as birds, which are all the same save for different colour feathers. Oh yes they are. Trust me. "For a score of 1,000 points you get the Tribal Rank of BIRD SPOTTER (2nd class), and a scarlet notched-edge feather. For 1,500 points you are awarded First Class honours, and another feather. Odhu'ntinggo, REDSKIN"
Cor. I'm not sure what the random "Odhu'ntinggo, REDSKIN" was for, but it looks pretty damn impressive. I want a skanky feather! Waa! We come now to the more recent I-Spy books. Branching out from such exciting topics as "I-Spy Birds" and "I-Spy Trees" and even "I-Spy Small Inanimate Objects," more... stranger ones were created, such as "I-Spy London"
Look - there's London! I win! Ahem. It's not quite that simple. This insanely thick book has every single thing in London in it, from Buckingham Palace to little signposts and backstreet gambling joints. The only catch it that since there's so much, each item is worth only one point. Which means you actually need to live in London forever to get that all-important badge. Ah well. That was a threat, by the way. I still remember I-Spy On The Road. "We don't know what this is either. If you do, tell us please. I-Spy for 50." I used to worship my numberplates one. XXXCore. hi , iwas a keen i-spyer , and still am ,use my books and wear my badge! odhu/ntinggo redskin meant good hunting when out on the trail . . i won pens and books and later badges and there are new books coming out at the end of this year and a new club --cant wait! i collect i-spy books and have quite a lot from the news chronicle, polystyle david bellamy books (he`s a friend of mine) amd michelin books and other i-spys too. i love getting about and exploring and my books whether old or recent always come in useful! I-SPY IS GREAT FUN ! Great news, Michelin have re-launched the I-Spy books. You can find out more information and buy copies through http://www.ispymichelin.com/index.htm and join us on Twitter @ispymichelin. Please let me see the car numberplates book. I really tried to complete this one! but gave up in my very late teens. Im desperate to see it again, it started off my interest in car numberplates. Can it be true that there is no website explaining UK numberplates??? (Eg Q plates, X plates, Diplomatic, army etc) Can I really be the only person interested in this stuff???? I still have an old I-SPY AIRCRAFT paperback book that I bought in England as a kid for 6d. 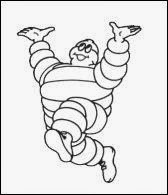 (pre Michelin).